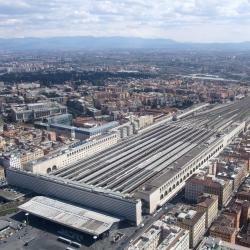 Looking for hotels near San Giovanni Metro Station? Rim Rooms provides modern and elegant rooms with free Wi-Fi, air conditioning and a flat-screen TV. Featuring free WiFi throughout the property, RomAntic Dreams offers spacious rooms in Rome, a 10-minute walk from the Basilica of Saint John Lateran. The rooms have a flat-screen TV. 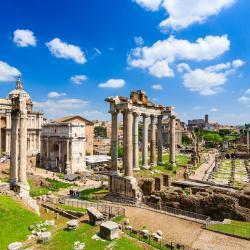 Located 1.3 miles from Domus Aurea, The Roman Way San Giovanni in Rome has rooms with air conditioning and free WiFi. All rooms have a flat-screen TV with satellite channels and a private bathroom. Featuring free WiFi throughout the property, Lele B&B offers pet-friendly accommodations in Rome, right by Re di Roma Metro Station. The rooms are equipped with a flat-screen TV. Hotel Napoleon is set in a 19th-century building directly in front of Vittorio Emanuele Metro, and 1969 feet from Termini Station. High-speed WiFi is free throughout. Great location with the Metro at your doorstep! Relax on the grounds at this friendly hotel, in the popular area of San Lorenzo in the center of Rome, surrounded by typical restaurants and cafés. Ignore the graffiti in the neighborhood - great place to stay. Restaurants nearby. 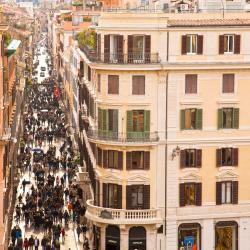 Just a 13-minute walk from the Colisseum, Best Western Hotel President is in central Rome. The property is a 5-minute walk from Manzoni Metro Station. This hotel offers free WiFi throughout. Delicious and reasonably priced breakfast!really friendly and helpful staff!! Right next to the Basilica of Santa Croce, Domus Sessoriana is housed in a 10th-century monastery. Enjoy stunning views across Rome from the rooftop terrace. The location was close to the bus station and metro, making it easy to get to the city center. Located within a 15-minute walk of Domus Aurea and 0.9 miles of The Colosseum, 4 Coronati has rooms in Rome. The staff was amazing. Really gratefully for that. Casa Per Ferie Margherita Diomira offers basic accommodations in Rome, a 10-minute walk from the Basilica of Saint John Lateran. Free WiFi and a free private parking are available on site. We stayed in the place for four days. 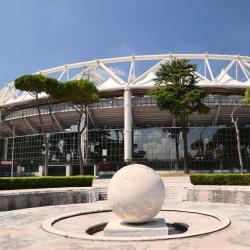 Hotels with great access to San Giovanni Metro Station! 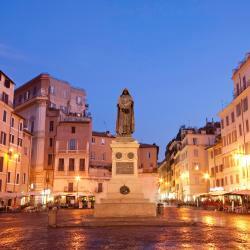 1.5 miles from Domus Aurea, Hotel San Giovanni Roma has 4-star accommodations in the San Giovanni district of Rome. Offering a shared lounge, the property is located within 1.7 miles of The Colosseum.... Room was amazing, clean spacious, modern. Everything looks new. Located in Rome's lively San Lorenzo neighborhood, Hotel Laurentia offers a bar, 24-hour reception, and free Wi-Fi throughout. very welcoming staff, comfortable and clean, and air-conditioned bliss in a very hot Rome! Featuring a rooftop terrace and a summer pool with views of the Coliseum, Mercure Roma Centro Colosseo offers modern rooms and free WiFi throughout. The Coliseum is 1312 feet away. Great location short walk to Collesseum. La Locanda Del Manzoni is in a former convent between the Basilicas of San Giovanni in Laterano and Santa Croce in Gerusalemme. Manzoni Metro Station is 165 ft away. Cakes for breakfast were delicious and there was plenty of choice. Set in the lively San Giovanni area, Hotel Piccadilly offers free high-speed Wi-Fi, soundproofed rooms and panoramic views across central Rome from the breakfast room. Everything except the kitchen staff boring faces. 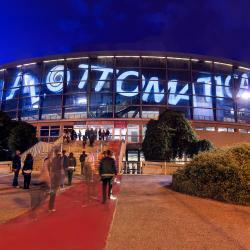 People are talking about San Giovanni Metro Station! Explore guest hotel reviews featuring "San Giovanni Metro Station"
The property is in a pretty safe neighbourhood, with no scary faces around. It's close enough to the San Giovanni metro station. The room was clean and the bathroom had everything we needed in it. There was also a kitchen to be used by all the tourists who stay at this place. The staff was friendly.